It’s that time of year again when Americans have to dig through the couch to come up with enough money to pay their taxes if they’re not fortunate enough to get a refund back from the federal government. Everybody knows the Internal Revenue Service is a dictatorship that preys on hard-working Americans. And under former President Obama’s administration, they specifically targeted groups with key terms like “tea party” in its name because of their contempt for the conservative movement. But some liberal organizations skate by the IRS and that includes streaming giant Netflix. You’ll never believe how much in taxes they paid in 2018. 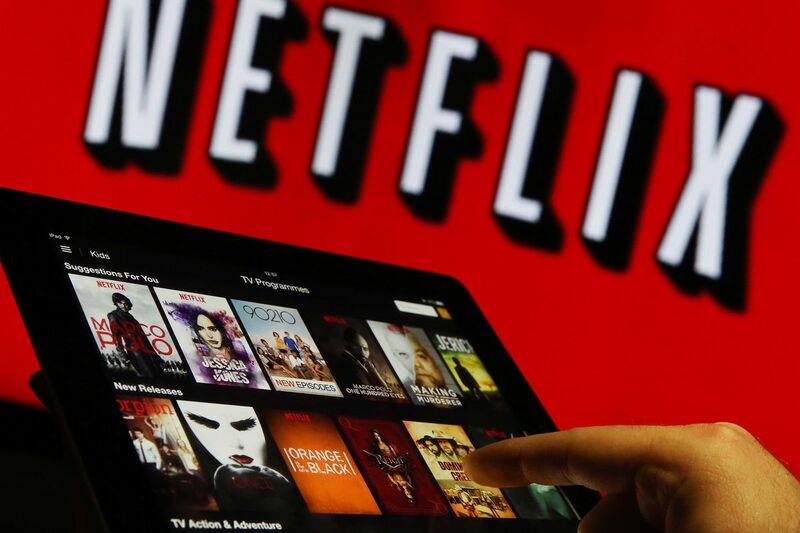 Netflix is the fastest growing media company in the entertainment industry. For a brief moment several months ago, Netflix surged past Disney as being the number one media enterprise in the world. But it is Disney so it didn’t take them long to re-stake their claim as the number one entertainment studio. Nevertheless, Netflix is on their heels and has no plans on stopping anytime soon. You might remember when Netflix was just a mailbox DVD service, but as the internet became faster, Netflix streamlined movies and TV shows straight into your living room. From there, their business model was simple. Let’s start producing our own content. Not only do they produce their own content but they overpay their artists to acquire it. Netflix is a massive multibillion-dollar corporation. They claim to have approximately 150,000,000 people subscribed to their service and add an average of $10 dollars, equals about $1.5 billion per month. Despite these massive amounts of earnings, Netflix did not pay one penny in taxes despite the fact that they produce content from Barack Obama, Hasan Minhaj and other liberal entertainers designed to brainwash Americans into accepting confiscatory tax rates on their paychecks. Netflix produced record profits in 2018 that exceeded $845 million. They support politicians who beat their chests about the wealthy “paying their fair share, but Netflix arranged their business affairs so they also reported a $22 million federal tax rebate. Higher taxes are fine for everyone else. But not the wealthy liberals that run Netflix. ITEP, Institute on Taxation and Economic Policy senior fellow, Matthew Gardner, said they did pay $131 million dollars in taxes but it was to foreign governments. You have to remember that Netflix is an incredibly private company. They outsource how many streams they get on their movies and TV shows to a third party. Their reasoning for doing this is so that they can conceal that information from production companies and studios when they buy their libraries. In other words, it’s a strategy to keep the costs of buying contents from the producers very low. Liberals like those who run Netflix and whose content streams on their platform love to hypocritically and self-righteously complain that the “top one percent” don’t pay their fair share of taxes, but then they refuse to hold themselves to the same standards. That’s hogwash. If they wanted to abide by Alexandria Ocasio-Cortez’s insane 70% tax rate in her implausible Green New Deal plan you would think they’d set the overtaxing liberal example, right? After all, they just bought the Ocasio-Cortez documentary, Knock Down the House, at Sundance for a whopping $10 million so that implies Netflix agrees with this new liberal agenda on some level. But instead, they criticize wealthy billionaires and corporations for doing exactly what they did? Where is the liberal pitchfork mob’s outrage now?